No one here needs reminding that life’s not a fairy tale; it’s a complicated, messy business. So unless your situation is altogether unique, chances are you’ve both enjoyed and endured a number of romantic relationships in your time. According to a recent American study, the median number of sexual partners for a man in his life time is seven. For a woman, the median is four. Of course, this research included no data to illustrate the benefits gained from each relationship and the varied ways in which they enriched the lives of the participants; those would be things near impossible to quantify. I think it is important to acknowledge that when it comes to love, it’s not the number with whom we’ve shared it that’s important but rather the nature of the beast; the way it inflates us, making us daring, eager, energised. Such is its potency and poignancy that even after a relationship has ended an echo of that former lover remains somewhere within our selves ever onward. When I was younger, I naively believed that the number of sexual partners a person inadvertently accumulated was important; that it somehow reflected something about a person. My ignorance had me thinking that those with a larger number were careless. I thought love was special, and that by bandying it about they were lessening its value. Needless to say, I was missing the point. As I matured and began accumulating the battle scars of life, I grew to recognise that the gradual accumulation of lovers is something we can’t always control. There is very little one can do about a relationship ending and furthermore, as ceaseless pursuers of the sublime, we’d be foolish to turn new love away when, bright eyed and bumbling, he finally comes calling. If we could choose to meet our other the first time around (assuming there is such a one) I suppose there’d be many of us who would. For myself I’m not so sure. Because while the notion of feeling settled and at home with another is entirely appealing, the experiences I’ve been granted through my interactions with previous partners (desirable and otherwise) have stitched for me a vivid patchwork of a past. For this reason, rather than pointlessly attempting to minimise our number of romantic experiences, we need simply to see the importance of carefully selecting partners we’d be happy to see woven into our personal history. After all, while there’s a chance there’ll come a day that our partners will leave us, our past never will. Lovers are parasites; every one you take claims and keeps some many tiny parts of you. Likewise, when the time comes that you shake them off, wandering alone into the blue, you will have collected some of their colours, placing them among your pieces for the rest of your days. An eternal legacy of lovers lost. This road can be rough but when you choose the scenic route there are so many wonderful things to see. Life is short and sights are all the more glorious when you’ve someone with whom to admire them. So go ahead and ask her: what’s your number? ‘Cause you can just never know; maybe the next one will be for the keeping. What legacies have your lovers left with you? Do you regret past partners, or see each as representing a chapter of your story? The most influential years of our lives are endured trapped within the confines of a classroom, yet looking back I can count on the fingers of one hand the beneficial things that I learned there. For instance, I remember hearing that Blaxland, Lawson and Wentworth crossed the Blue Mountains (though I couldn’t tell you when they did it or how it all went down), and I realise that the sum of the square of the two shorter sides of a triangle are equal to the square of the hypotenuse (learning that sure changed my life). However, there’s not been a single instance in the real world (wherever that is) where either of these little pearls has proven useful or relevant. What I am wondering is why they don’t teach us the things we need to know; stuff that might help us become successful, well balanced human beings? Some people will tell you that life lessons have to be learned the hard way, but I’m not so sure. For myself, there are some things that, had I known them in advance, may have saved me a lot of angst. While I may not have understood them right away, having them told to me would have certainly set the mental ball rolling, saving me from needlessly wasting so many hours of my youth and young womanhood articulating my feelings into bite sized philosophies. When you think about it, there is little wonder teenagers are such melodramatic little buggers; we have them reinventing the emotional wheel! I think it’s time for a handbook. The Stuff We Should Be Teaching You But Aren’t, Because We’re Too Busy With The Circumference Of A Circle And Other Such Irrelevancies handbook. And it should have DON’T PANIC written in large letters on the back cover, Hitchhiker style. Because God knows there are countless times when I could have benefitted from that little snippet of wisdom. I have taken it upon myself to commence composition of the handbook and have outlined some ‘rules to live by’ in the space below. Of course, any suggestions from the floor would be much appreciated; I have every faith that the youth of tomorrow will be sure to thank us. …your idiosyncrasies are what make you interesting. …they imply that you are learning. Too often people mentally beat themselves up over the things they’ve done, whether in their relationships or their lives in general. Once we embrace the notion that it’s our past that shapes us, it’s much easier to make peace with the choices we make and the things we’ve done. The more colourful our past, the richer the tapestry of our lives, I reckon. …but (in the words of Joan Armatrading), if you’re going to do it, do it right. There is nothing more irritating than people who do things half arsed. If you are going to do something, don’t waste our time with anything but your very best. If your heart isn’t in it, don’t whinge about it, do something to change it. We live but once. Okay, some parents are boring, as are some old things. But they aren’t boring because they’re old; they’re boring because they’re boring. Lots of old things are actually really interesting and entirely worthy of our time. So listen to vinyls and read books and spend some time watching old films. Doing these things does not make you a square, it makes you awesome. This is true for all realms of our lives; whatever we give out we will get back in equal measure. Said in another way, for every action there is an equal and opposite reaction. The implication is that the more we send out into the universe, the more we will get back for ourselves. The harder we live, the more enjoyment we will receive. The greater the risk, the richer the reward. Get the drift? …whatever will be, will be. There is not a lot of point fretting over what ifs; nothing that is for us will ever pass us by. If something is supposed to happen, it will; if it isn’t supposed to, it won’t. Knowing this little truth can save a lot of anxiety and frees us up to live happily in the moment without becoming wrapped up in the hypotheticals of the future. …enjoy your melancholy; all feelings are healthy. It isn’t realistic to expect to be content all of the time; we are complex beings and there are countless emotions that contribute to making us dynamic and interesting. Melancholy is a place where a lot of great things happen; in fact, many of the most creative and poignant artistic expressions were dreamed up in the depths of despair. So indulge in these feelings, but realise they don’t belong to you alone. And when it’s time, pick yourself up and order yourself a slice of happy. …the little things are what it’s all about. …live in the here and now. Too often we set our sights on the horizon and pour all our energies into reaching it. However, the horizon is an illusion, a destination impossible to reach. Forgive the cliché, but you are much better focusing on the journey, enjoying each day as it comes. Because when you do reach the end of your life, you will want to know that you made the most of every single day. …so make your own rules and never go to bed angry. Forget what everybody else is doing; you would be much better off if you simply ran your own race. None of us dream the same, so dismiss convention and do your own thing. And never go to be angry; making love is a whole lot more fun than making war. 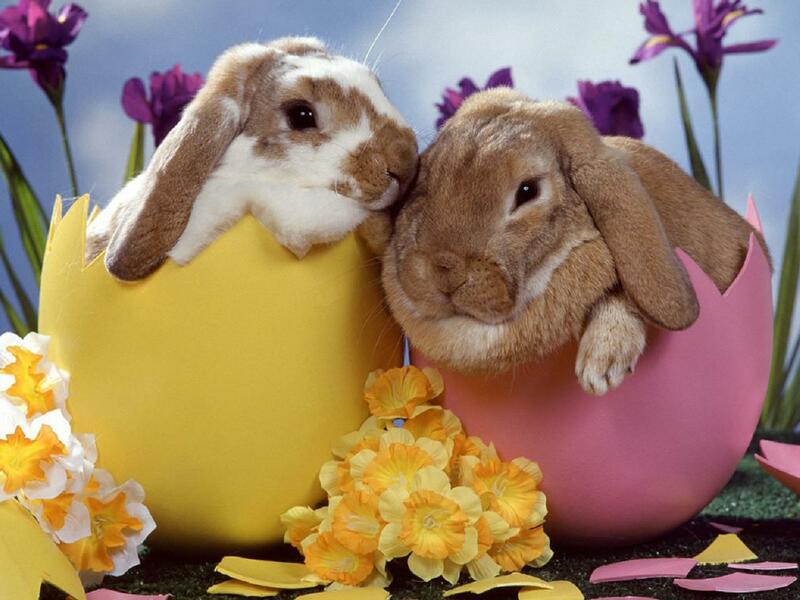 Easter was originally a celebration which honoured Eostre, the pagan goddess of spring. It was a seasonal festival, marked by the first full moon after the Spring Equinox (an equinox is an occasion which occurs twice yearly when a day’s hours of light and darkness are equal in length). As a consequence of it occurring in conjunction with the equinox and the full moon, the actual date of the holiday changed slightly every year, just as it does now. During the festival of Eostre, people gave thanks for her timely deliverance of spring; a season which has always been synonymous with regeneration and fruitfulness. Eostre’s earthy symbol was the rabbit, selected for its obvious association with fertility. The significance of the egg is a little more complicated. Ancient Romans understood that all life comes originally from an egg. In accordance with this assumption, it was believed that the moon goddess endured a twenty eight day cycle and ovulated when full. On the first full moon after the Spring Equinox it was believed that she dropped her egg, blessing the earth with her abundant fertility. Hot cross buns were also a part of the original Eostre tradition. The sweet cakes, which were baked and consumed during the holiday, were marked with the letter ‘T’. This was the initial of Tammuz, the child of the sun god and the moon goddess. Being their child, he was considered equal parts day and night and was therefore celebrated every year during the Spring Equinox. Being new in an unfamiliar city can be difficult, namely because you can no longer rely on the support and companionship of your friends; something which we often take for granted. Recently I realised that if I was going to properly enjoy this venture, I would need to form some local friendships; a concept which to me, is entirely intimidating. I suppose I could be described as socially awkward; I never know what to say in group situations and as a result, often wind up saying the wrong thing, or else sitting mute and being considered quite peculiar. For this reason (among others), I’ve never been awesome at making friends. The few mates that I do have I’ve known since we were fairly young, and I couldn’t tell you where I found them, or why they’ve stuck with me for so long. On the rare occasion that I have made a friend as an adult, it’s gone swimmingly until the moment that I’ve realised that my newest bosom buddy is in fact a psychopath. At which point, I’ve been obliged to walk briskly in the opposite direction. True story. Step One: Find people with whom you have something in common. Step Two: Bond over said thing that the two of you have in common. Step Three: Become the best of friends. Unfortunately, what I’m finding (and this could be a result of the previously mentioned communication retardation), is that making friends is every bit as difficult as I’d originally expected. In truth, approaching strangers can be an intimidating operation. After all, we’ve all experienced rejection by our peers, and unless we’re crazy, we’re unlikely to want to risk a reoccurrence of such an event. One occasion in particular has left me scarred for life. It was when I was ten years old, and my dad and I were waiting for something or other beside a group of girls. I guess he’d seen I was looking lonely and, noticing the children nearby, urged me to go and introduce myself. Suitably wary of kids my age, I told him they seemed to have enough friends, but he said I was being silly; that you can never have too many friends. Braced by his optimism, I approached the girls and, as expected, was met by raised eyebrows and a pout that stated quite clearly: there’s something hideous standing quite close to me and I can’t figure out what it is or why it hasn’t gone away yet. If you were wondering, I didn’t make any friends that day. I reckon there’s a lot to be said for the argument I put forward almost two decades ago; people only need so many friends. As a result, working your way into an established clique can prove quite difficult. For the past few weeks I’ve been making a concerted effort to mingle, in an attempt to make some mates. Perhaps it just needs more time, but I’ve gotta say; so far, people haven’t been terribly receptive. Do you agree that it’s difficult to make new friends, or do you find it fairly easy? Got any hot tips for this socially awkward individual? When it comes to forming friendships, I’m about as clueless as Sheldon from The Big Bang Theory. Watch him figure out and then apply an algorithm for making friends. Oh, if only. When I was midway through the second grade, I was enrolled in what was to be my fourth new school in half as many years. On our first day, my siblings and I were escorted to the library where all the students were assembled. A wiry woman with pursed lips led us to various class groups and instructed us to sit down. Abandoned amongst a sea of strangers, I began to sink beneath the weight of my despair. Blinking back a sting of tears I somehow made it to recess when I was smacked with another shock; I wouldn’t be able to sit with my sister, as primary and infant students had separate playgrounds. I’d had enough. Desperate to go home, I gave myself a hickey on the inside of my arm and informed the nurse I’d been bitten by something big and deadly. With raised eyebrows, she phoned my dad. I stayed home with him for a week before he relented and re enrolled us in the school across town. It meant a thirty minute drive every morning, but it proved an instant cure for my stomach cramps. Sometimes when we were kids, we’d go to our nanna’s place for the weekend; a prospect which delighted me to no end. I’d have a terrific time until the end of the first day, when the idea of sleeping in a strange bed after having eaten my evening meal from someone else’s dinner service became too overwhelming. Dad would get a phone call, and an hour later I’d be bundled into the car, where the relief of the familiar washed away my unease almost instantly. For the remainder of the weekend, I’d wander the house aimlessly, while the others phoned to relay excited stories of cinemas and trips for ice cream. I’ve always been a little anxious. The onslaught of change and uncertainty has devoured me this week. Once more I’m that lonely little girl with an ill feeling in the pit of my stomach, a shortness of breath, a lack of mental clarity. My instincts are to retreat. But gone are the days when a harmless love bite might herald a rescue party or offer refuge. I’m a grown up now, I know the secret; we are all alone. Yet in the midst of attempting to quiet the raging cacophony banging away in my mind, and while doing what I can to ease the insistent churning of my gut, I’ve somehow managed to find myself a home; despite my attempts at self sabotage. Having heard that the rental market in Melbourne is ridiculously competitive at this time of year, I figured it would be best to apply for absolutely everything. I dutifully attended approximately one billion inspections and filled in what felt like a trillion applications. While it was exhausting, it made me feel industrious and good. In hindsight, I really shouldn’t have been surprised when I began to get calls congratulating me on my successful submissions. As it turns out, I was less than ready. A stammering mess, I hastily declined several perfectly acceptable offers before ardently attempting to proffer why each was unacceptable. However, while my friends and family empathised with my bout of bad luck, the reason in me was growing sceptical. The apartments were fine, it scoffed. The problem was me; I was being a noncommittal pansy. I had to toughen up. Without allowing myself too much thought on the matter, I held my breath and said yes to the next offer. I’m now in possession of an inordinately pokey and ridiculously overpriced studio apartment. On the up side, it’s light and airy and very cute, and it’s near enough that I might feed off the life of the city; a feature which may prove essential once the money runs out. From past experience, it’s unlikely that my nerves will abate until I establish some kind of normalcy. I need to do it soon; my instincts are urging me to retire, my long neglected creative side is growing impatient. But I’m still worried. While I’ve signed a lease and am ready to commit to a life of part time seclusion for the sake of my writing and self discovery, what if I discover I can’t sustain it? So many of us seem stuck in a vicious cycle of having passions we want to pursue, but realising that to maintain a certain standard of lifestyle we need to work, leaving us no time to explore the potential of our whims. I suppose that’s why they call them struggling artists; when you choose your craft over comfort, the sacrifices are significant. And I’m not sure if an anxious creature like me has what it takes to handle the bumps. After all, behaving unconventionally is scary. I keep thinking back to that little girl pottering absently through vacant rooms, desperately awaiting her siblings’ return from their holiday. She was young and had been through a lot for her age; her need for comfort was understandable. But even she could see that if only she’d had the courage to see out the night, things would probably have seemed better in the morning. Even she recognised the fun she might have enjoyed, had she only acted a little braver. I suppose it’s time I waited out the dawn. I have always loved a city; the bright lights, the exhilarating hustle, the easy, perfect chaos of it all. Cities are always awake and wired; they draw in life like moths to a flame. In my brief life I have enjoyed some fantastic cities. I have walked, wide eyed through the scenic streets of Paris, wandered the delightful alley ways of Dublin and strolled the cobbled paths of London. I have found myself mesmerised in the back roads of Amsterdam, have been stunned by the fantastic beauty of Berlin and was charmed by the diversity of Rome. Yet despite where I have been and regardless of where I am yet to go, my heart belongs to a single metropolis; Melbourne, the most beautiful city in the world. Melbourne, I adore you. Every time I walk your streets, I fall in love anew. Being with you is like coming home. Everybody loves a beauty and your simple and unassuming loveliness draws people to you. In fact, the most diverse of societal cross sections seem to unite here in their shared adoration of your gorgeous parks, historic trams, the eclecticism of your outer suburbs, the way your towering skyscrapers and age old architecture can somehow sit side by side in a happy, haphazard harmony. On the tram on our way through the city we pass a park. A group of young people sit cross legged on the grass, sharing a guitar. A man snoozes on the bench beside a fountain while a woman reads the paper, sprawled on a red rug in the sunshine. Parents walk beside children who wobble precariously on small bicycles and a businessman paces briskly through the midst; head down, clutching his briefcase like a prize. I have seen some terrific things in this short life. I’ve stood dwarfed by the Eiffel Tower, had my heart broken by the beauty of the ceiling of the Sistine Chapel and spent the shortest day of my life devouring the majesty of the Louvre. I’ve dived with whale sharks and swum in the phosphorescence off the coast of Mozambique, witnessed a lion take down an impala in South Africa and had they let me stay, I would still be sipping Sangria in the crazy cottages jutting out of the rugged cliff face in the Cinque Terre. Yet in this moment I could trade it all for the freedom that comes from sitting in a warm tram, a mess of thoughts in my mind and the knowledge that I’m headed exactly where I want to go. I’ve always been a little conservative. Growing up in a family with four children, this was particularly evident. I was the child who put herself to bed while the others were lodging their cases regarding whether they’d eaten enough of their dinner to warrant dessert, or bickering over who should get the next turn on the Nintendo. Since ever I can remember I was self appointed dish rinser and bath runner, ate fruit because it was good for me and it never had to be asked; I had always done my homework. In view of my prudent and level headed nature, it was taken for granted as we grew older that I would attend university once I’d finished school and that the only serious change I would experience during my adolescence would be evolving from a sensible child into a sensible adult. Meanwhile, time lapsed and my siblings slowly but surely began to leave the nest. A spirited creature, my younger sister was unsurprisingly the first to fly, baited by the freedom of independence. My older sister was drawn south after having fallen together with a man whose life was already established elsewhere. Our brother ventured interstate to spend the weekend with a friend some four years ago and is yet to return, having found a much sought after brotherhood some place far off. And so it came to pass that I became the daughter who didn’t move away. Having secured reliable employment within an hour of our family dwelling, while I moved out and even travelled overseas a couple of times, I was never far from home. If I’m honest, I suppose I liked it that way. I’m a terrible sook; I’ve only recently conquered my fear of the dark and letting go of things has always left me feeling overwhelming nostalgic and pathetically tearful. So it’s fair to say I enjoyed the safety net provided by my dad and the familiar. I wasn’t ready to wander off alone. Call me naive, but until now it hadn’t occurred to me that it might be difficult to be the last to leave. It is. And complicated. Because just as I have grown used to the security of having family close by, so too has my father. And while I have decided it’s time for me to venture further afield and go it alone for a spell, he is dealing with the culture shock of having this decision thrust upon him. I empathise; I’m sure it’s less than easy. The inevitable guilt of my decision dropped like a dead weight earlier this week and quickly became tangible. What does one do when she’s the last to go? The unexpected pressure has resulted in an onslaught of heated discussions amongst the numerous and all too opinionated voices in my head. The pessimists among them are incessantly claiming that I’m making a massive mistake and that my behaviours are clearly those of a selfish narcissist with an inflated sense of self worth. Mercifully, the majority remain faithfully on my side. Despite my many doubts, they assure me I’m doing the right thing. The truth is I’ve wanted this for years. I’ve simply lacked the courage. So there’s been nothing for it but to lug the feelings of doubt and disloyalty with me, all the way to Melbourne. Despite what has become a full time search, I haven’t found a place yet, but I’m hoping when I do it will be big enough to contain the mountains of guilt I’ve had to haul along with me. In view of my budget, this is unlikely. So this week is my dedication to all the kids out there who were the last to leave. Guys, I’m feeling you. To their siblings, spare a thought; remember the way their mere presence inadvertently assuaged your guilt when you knew it was your time to roll out. And to their parents, know that the guilt of the child is only marginally outweighed by their desperate desire to grow. The arrival of a new year is something very special, yet its importance is often overlooked due to its unfortunate proximity to Christmas. This is a shame, as celebrating the possibility of clean slates and second chances seems so much more deserving than the recognition awarded to the 25th of December. After all, what is Christmas but a pagan ceremony pilfered by the Christians and grafted ever so slightly to suit their dogma? * And what has it become but the biggest marketing success story of all time; an event whose primary purpose is to encourage excess and indulgence, promoted for the support it provides the economy and which has survived due to its being successfully marketed as a day of generosity and giving? This New Year is particularly important to me, as 2012 is the year I quit my life and commence the biggest adventure of my otherwise risk free existence. In just days I will venture to Melbourne in an effort to find a place to call home; somewhere I can allow myself the time to access my creative side and offer direction to my raging verve. My resolve for a fresh start has come about in response to feelings of frustration regarding the life into which, in many ways, I feel I’ve been forced. Like many, I feel somewhat betrayed by a society that grooms us from childhood for a life of monotony and conformity, rather than fostering within us a thirst and appreciation for individuality and ingenuity. Like a child who has just discovered Santa Clause is fiction, this is a truth that’s been hard to reconcile. As lovely as it can be, Christmas is just further evidence of the way in which our consumer driven culture prevents us from taking possession of our own lives. Playing on our innate goodness and generosity towards the ones we love, the Season of Giving encourages us to spend big and charge it to our long suffering credit cards. We take snaps of our Christmas trees, dwarfed by the gifts we’ve placed beneath them and proudly post them to social networking sites. Somehow we have been successfully convinced that the number of gifts we purchase or the amount we spend can be taken as an indicator of how much we love our families and friends, or how much fun we’re going to have on the big day. As a result of our kindness, shops become richer and many of us become increasingly enslaved to rebuilding our savings. But of the gifts we bought and received over the Christmas period, how many did we need or even want? How many survived garbage night? What number did we purchase out of a secret sense of obligation, rather than with the needs or interests of the recipient in mind? Unfortunately, while the junk we’ve accumulated inevitably gets stored or abandoned after the conclusion of the festive season, our credit balance doesn’t disappear, and we return to work newly incarcerated by the prospect of paying next month’s credit card bill. In our minds we feel somewhat silly, but at least we had a happy Christmas. It’s only recently that I’ve come to realise that this unfortunate process is unnecessary. After all, the moments we remember long after the wrapping paper has been recycled and the tree has been disassembled are the times we spent laughing with our loved ones, rather than pouring over our newly obtained things. Perhaps we should abandon the concept of gift giving, or at least tone it down a few notches. If we were to do this, the importance of the season wouldn’t change, be we could rest easy in the knowledge that we weren’t being brainwashed by a very busy and very clever commercial sector. I suppose the New Year really comes at the perfect time, as it heralds The Resolution, a notion adopted for its ability to console, making the Christmas come down easier to bear. Soon after Boxing Day the reality hits that the holiday will soon be over; for a great many of us this means returning to jobs we resent or at best tolerate. The resolves of the New Year make this fact easier to accept and we reassure ourselves that this time will be different; we’ll get a new job, pay off our credit card, lose the extra weight, landscape the back yard, wean ourselves off microwave dinners, spend more time with our families. And we believe in our resolves just long enough to survive January, the most depressing month; the new cycle has just commenced and the Christmas holidays have never been further away. It’s a frightening truth; so many of us endure the bulk of our lives for those two weeks of carelessness a year. The thought process which has resulted in me throwing in my unstimulating job and generic lifestyle has led me to ponder a fundamental question: if our lives were more intrinsically satisfying, could the problems we unsuccessfully resolve to mend each year be prevented? Could it be that a sense of discontentment is what leads us to generate short term fixes, such as eating too much take away or buying too many DVDs, creating longer term problems in lives with which we aren’t entirely happy? This year I propose we all resolve to begin the process of setting ourselves free. Many of us have at least elements of our lives we would like to quit, and why shouldn’t we? Instead of being beholden to the conditioning that’s weighed us down since we were old enough to believe we were making our own decisions, let’s begin to actively and consciously make the choices that shape our individual stories. This year, my aspiration is to live in a way that will make me happier. How about making 2012 your year, too? After all, we only live once. No ambition we might have is beyond our capabilities; at the worst we’ll discover some particular thing isn’t for us. At which point, we try something else. For this year, let’s aim for the life most worth living. What aspect of your life would you like to quit? And what is it that’s holding you back? *Celebration of the pagan ceremony for the winter solstice, now recognised as Christmas, was initially forbidden by the early church. However, when they realised how deeply ingrained was the custom in the hearts and minds of the people, it was decided that they would keep the ceremony but slowly change its meaning. This proved successful over time because nothing from the original tradition was changed; the red and green colours of the Yule time (meaning ‘young’) remained, the festooned tree, which represented the pagan goddess was unaltered and the mistletoe and holly, symbols of fertility, also lingered. The Christians simply enforced a name change for the ceremony, calling it Christ and insisting it would from then on be considered a celebration of his birth, rather than commemorating the renewal of the sun’s solar course. Interesting, Easter is also a virtually unaltered Pagan celebration.